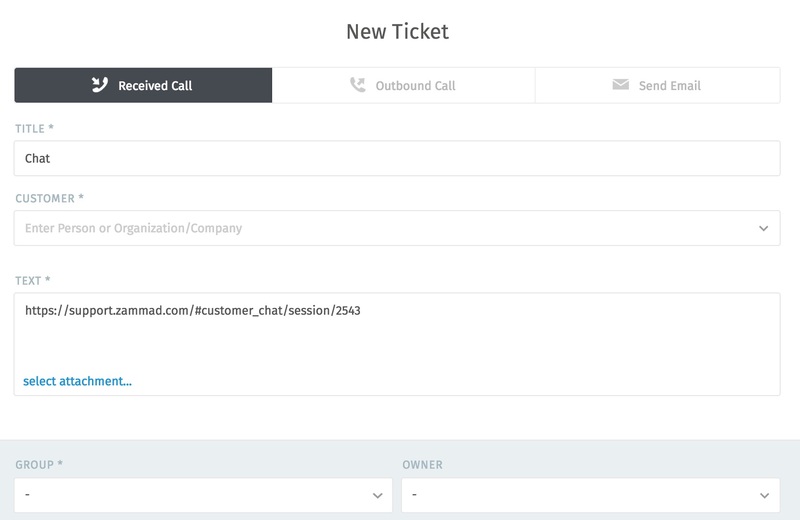 Talk to customers in real time from the customer chat panel. 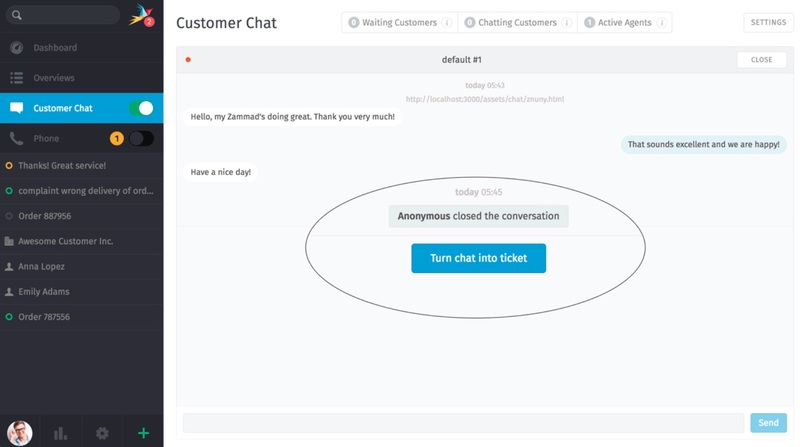 Enable the chat panel to be notified when customers are waiting to chat. 1. On/Off Enable/disable the chat panel. 2. Waiting Customers Lists customers awaiting an agent for chat. Click to answer a pending chat request. 3. Chatting Customers Lists customers currently in an ongoing chat session. 4. Active Agents Lists all agents with chat enabled. 5. Settings Click for chat configuration options (e.g., auto-greetings and maximum number of simultaneous chats). 6. Count badge Displays the number of users in each section. 7. Info card Hover over for detailed information about the users in each section. If all agents have the chat panel disabled, customers will not be able to initiate a chat. 🔍 Use the search bar to pull up old chats from the archive anytime. 📋 Copy & paste supports 🌄 images and 📄 documents as well as plain text. ⌨️ Live chat supports text modules. 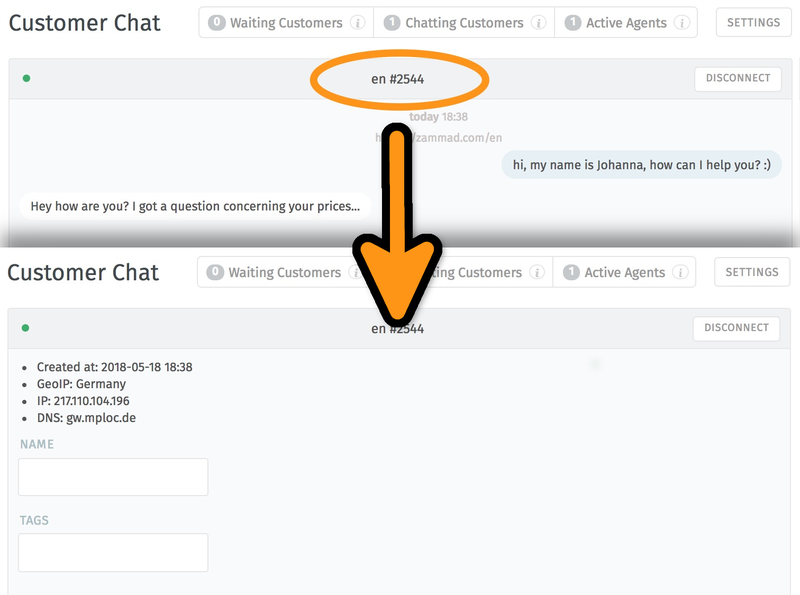 📝 Chats can be renamed or tagged, and record technical details about the customer’s connection. Click on the title at the top of the chat window to edit chat details. The Turn chat into ticket button appears as soon as the chat is finished. A link to the chat is automatically included in the first note on the ticket.